Whatever one thinks about legal abortion, taxpayer-funded abortion is a bedrock issue. Has our financial mess brought us to the brink of getting beyond the culture wars? It’s a question that we might see play out on Capitol Hill in the coming months as the new majority seeks to make the late pro-life congressman Henry Hyde proud, by defunding Planned Parenthood and prohibiting taxpayer funding of abortion. #ad#“Hell no,” Speaker John Boehner said when he was in the minority, to the conscience-offending comprehensive health-care legislation that congressional Democrats and the White House insisted on. Now that he’s speaker, the first big vote under his watch was to repeal the president’s signature piece of legislation. Emanuel is now a candidate for mayor of Chicago. Pressed by a primary opponent, former senator Carol Moseley Braun, who accused him of throwing “women under the bus” — women who don’t oppose abortion, that is — Emanuel told a Chicago Tribune forum that he “came up with an idea for an executive order to allow the Stupak Amendment not to exist by law but by executive order, and it was good enough that Nancy Pelosi, Jan Schakowsky here in Chicago, Rosa DeLauro, Anna Eshoo — a number of women who are held — Nita Lowey — who are held up as honors by people like NARAL and Planned Parenthood, who supported that bill and supported the way to make progress.” They were fine with it, of course, because there would be no real prohibition in the executive order. Carol Moseley Braun got the truth out of Emanuel because he needs his base to win the campaign. But back on Capitol Hill, Boehner and other pro-life members have support that is much broader. We got a little hint of that in the enthusiasm among many freshman members for an effort to defund Planned Parenthood during this Congress. As I write, though, I can hear the critics, even among conservatives: There they go again — rosaries on my ovaries. Or, less crassly: Culture warriors on the march. But you don’t have to agree with me in opposing legal abortion to see that HR-3 makes good common sense. If it’s the very future of the republic you’re worried about, ask yourself: Unless something has to be paid for by the taxpayers in order to protect or defend the Constitution, why not cut it? 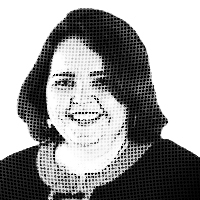 — Kathryn Jean Lopez is an editor-at-large of National Review Online. She can be reached at klopez@nationalreview.com. This column is available exclusively through United Media.